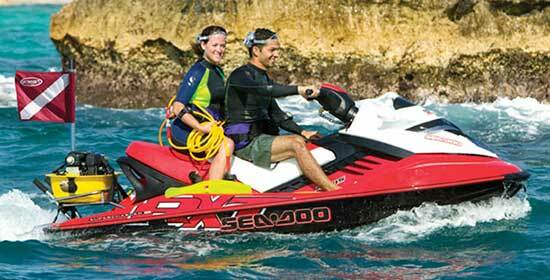 Brownie’s Floating Hookah System can now be mounted on a personal watercraft (PWC)! This new application features a custom bracket that attaches to the back of the craft and securely holds the gasoline-powered air compressor. The system utilizes exactly the same components and technology as the Floating Hookah System. 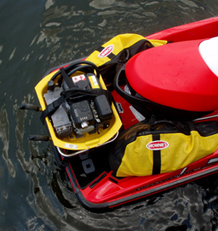 If you already own one, it can easily be adapted to your PWC with the addition of the bracket and accessory kit. Divers tow the PWC while they explore up to 90 feet underwater. After diving, all of the hookah system’s components store easily and securely for the ride home. Contact Us for more Brownie's Third Lung PWC Kit information.